A service oriented environment is all about communication. Not only the content of your message but also the way you frame the message is important. Any professional who wants to effectively present, convince or sell ideals, projects or plans to others can benefit from this training. We will help you bring the right message across in a confident and effective way. The course "Professional Presentation and Public Speaking" is aimed at anyone who often must speak to groups in a convincing way. More specifically, this course is beneficial to executive professionals, managers, communication managers, sales professionals and trainers. 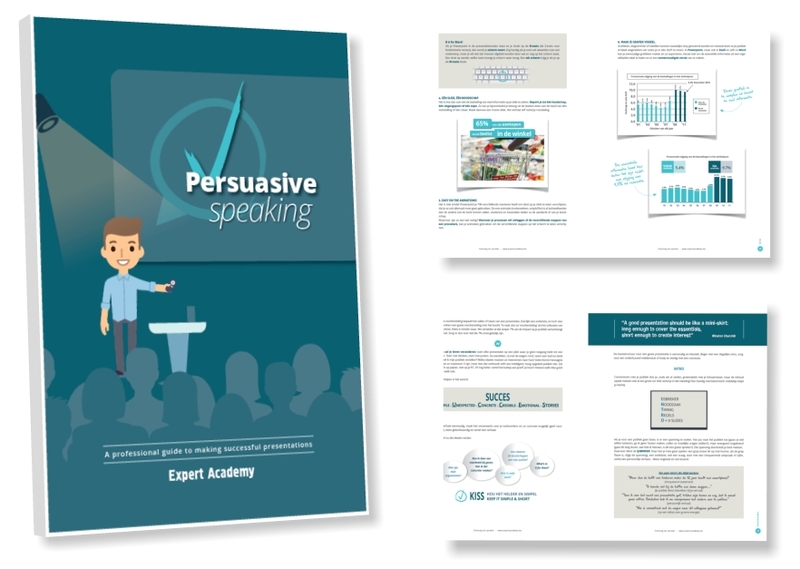 Included in this training: the course book "Persuasive Speaking". A professional guide to making and giving successful presentations. Practice is central to this 'Public Speaking' workshop. You will immediately get started with your own presentations. Video feedback provides you with a clear insight into your strengths and enhancements, with both content, voice usage and non-verbal communication being treated. You will discover how to make your presentations memorable, relevant and impressive. Currently, this education is only available as personal coaching, in-company training or workshop.